If you receive a DUI charge in Rockwall our the surrounding area, it is in your best interest to hire a DWI attorney to help you through the process. Although a DWI charge isn’t extremely serious, it isn’t something that most people would want on their record. First, there is a limited amount of time to from the date of your DWI arrest to fight to keep your drivers license, or your license could be automatically suspended. Our law firm will also want to know the details and facts of your DWI arrest. This allows us to identify any flaws or mistakes in the process or procedures of the DWI arrest. Our job is to protect your rights throughout the entire process and achieve the best possible solution for your DWI case. DWI charges can have long-term impacts. They can impact your job, they appear on background checks, they can impact your credit rating, insurance and other aspects of your life. 2nd DWI Charge / Offense – After a first offense, the penalties associated with DWI in Texas increase significantly. A second offense could result in fines of up to $4,000 and a jail sentence of one month to one year. 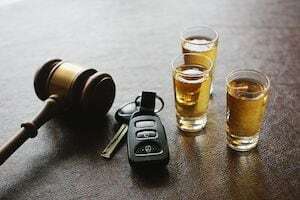 The license suspension associated with a 2nd DWI offense can last up to two years, and there may be a three-year annual surcharge of up to $2,000. In addition, you may be required to install an ignition interlock device in your vehicle and attend a DWI intervention or education program. Regardless of your situation, it is best to contact a DWI Attorney to help you in your defense. A skilled attorney may find flaws in the arrest that could get your case dismissed. If the case isn’t able to be dismissed, an attorney can help mitigate the consequences and fines of a DWI charge. Contact us today for a free consultation about your DUI arrest.